March - 2014 - Japanese Online Learning Class. 3.11 Great East Japan Earthquake: What you can do to help. 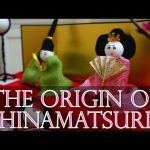 The origin of Hinamatsuri (Girl's Day in Japan)!